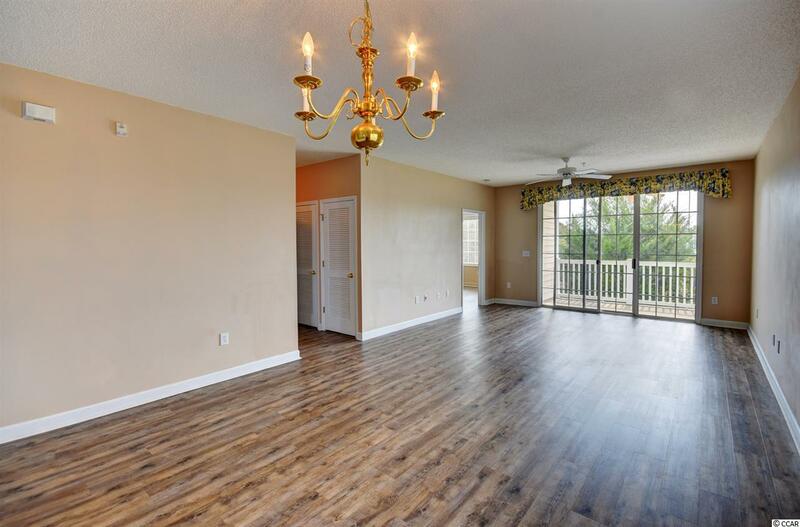 This end unit boasting tons of natural lighting located in the PRESTIGIOUS IRONWOOD development of Barefoot Resort has everything from Golf, Beach, Waterway, Marina, Amenities, and LOCATION!!! You will enjoy peaceful views from the balcony overlooking the Greg Norman Golf Course and Intracoastal Waterway in the distance. The trees and shrubs provide privacy for you to sit back and unwind taking in the scenery from your balcony. 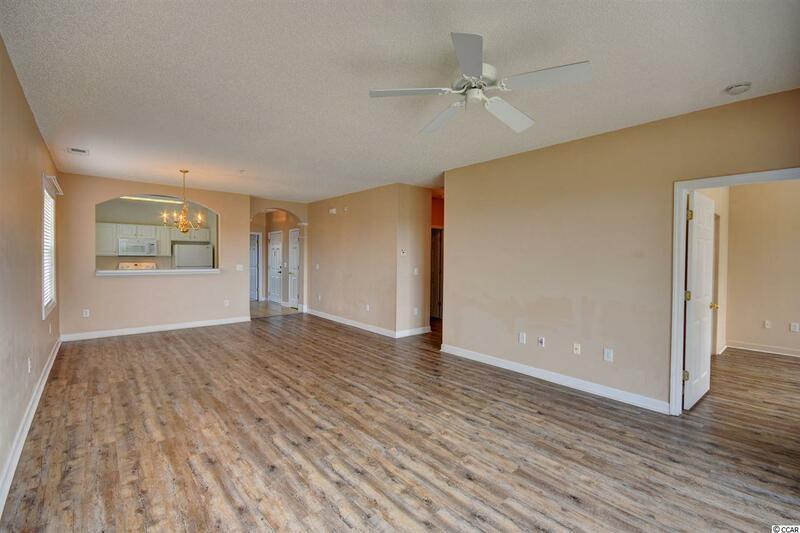 You have plenty of room to relax in this gorgeous three bedrooms with two full baths condo that features new vinyl plank flooring. The living and dining areas provide an open space for entertaining your family and guests. The kitchen is fully equipped with all the major appliances and lots of cabinet and countertop space. The spacious bedrooms are arranged on a split floor plan for privacy, and both bathrooms feature a single vanity with a shower/tub combination. The condo itself is Amazing, but you will Fall in Love with all the AMENITIES that come along with it!!! 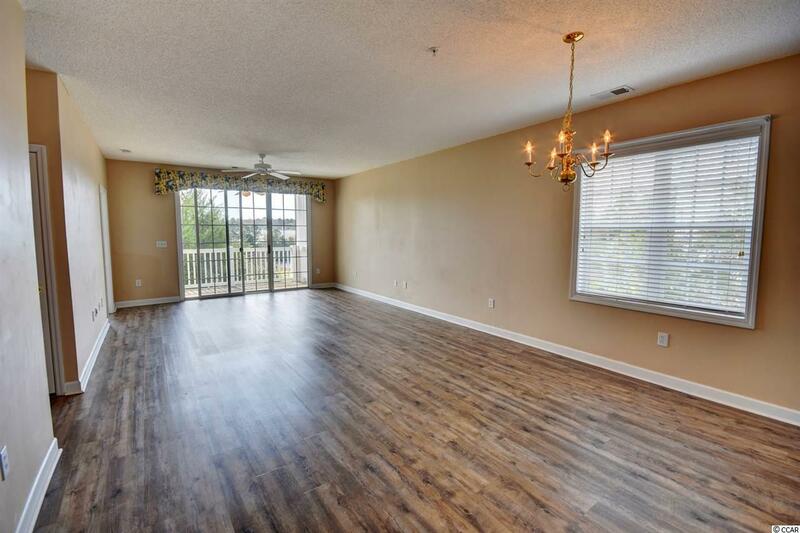 Ironwood has a pool and tennis court within the community just steps from this unit. You also have access to an Oceanfront Cabana, Parking in Windy Hill Beach, and the LARGEST Pool on the Grand Strand located next to the Intracoastal Waterway. This condo even comes with a transferable golf membership. 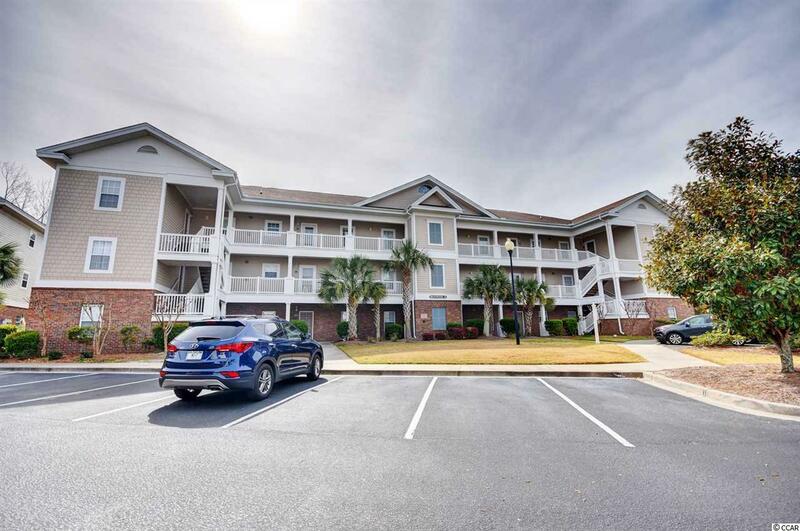 This is a PRIME Location situated right in between North Myrtle Beach and Myrtle Beach with shopping, dining, the beach, and entertainment just minutes away!!! Make this your home away from home, your permanent home, or a great investment! Call today to make your Appointment to view this Spectacular Unit!